Another week and another review of a Baileys Prize longlisted title. 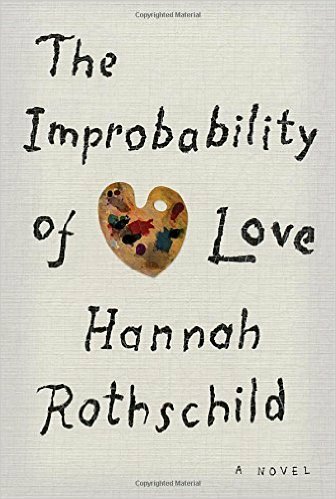 The Improbability of Love is a novel about a painting, and its dramatic history up until the present day when it is discovered in a junk shop by lonely chef Annie. She soon ends up in the middle of the pretentious London art world and the disgustingly rich, as we watch her painting become one of the most highly sought objects. Billed as a satire, the novel has a cast of wacky characters including exiled Russian oligarchs, avaricious Sheikas, desperate auctioneers and unscrupulous dealers, all in pursuit of the eighteenth century masterpiece which had long been thought lost. I wanted to like this book, and there are elements which I found interesting, namely the idea of the painting itself having a voice in the story (albeit an obnoxious one). I also enjoyed the historical elements of the story, and felt it would have been better for more of a focus on that. The book has moments of humour, but for me the melodrama of the story (which I'm certain is wholly intentional) simply didn't work. It felt as though the author was trying to do too much. I liked Annie as a main character, a woman wronged by a controlling ex, and had the story focused more neatly on her it might have felt as though one had gotten to know her better. As it was, one of my main criticisms is that there are too many characters. Barely have you had time to get to know one when you're thrown headlong into a section about another. The book would have benefited from being more tightly edited, including ditching some of the more peripheral characters. What's the point in telling us that Vlad, the exiled Russian killed his brother, when there is no further reference or relevance to it in the novel? Too often characters felt as though they were invented purely as plot devices; for example, the painting was there to give historical context and Jesse was there to uncover the truth at the end of the novel. 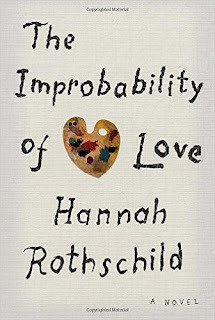 A little research into the author told me that she is very much immersed in the art world, and perhaps the satire works better if you are, but overall this is a novel which doesn't appear to know what it is. Is it a historical novel? Is it a romance? It's certainly high energy and Rothschild's style is very readable, but I would be surprised if this makes it onto the shortlist. Thanks to Netgalley and the publisher for providing a free copy of this book.